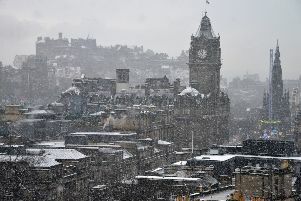 The Met Office has issued a yellow weather warning for snow to Edinburgh as an area of low pressure is set to come into contact with cold air. This weather warning is in place from 4am to 9pm on Saturday (16 March), covering Central, Tayside & Fife, Grampian, Highlands & Eilean Siar, SW Scotland, Lothian Borders, Strathclyde, including Edinburgh. The Met Office said: “A developing area of low pressure is expected to track across Northern Ireland, northern England and southern Scotland on Saturday. “As this runs into colder air, snow is likely to develop, particularly in any heavier bursts of precipitation. 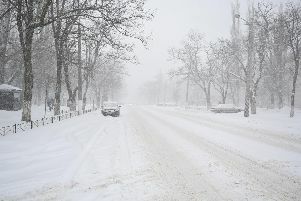 “The largest snowfall amounts will be confined to higher ground, with the potential for 10-20 cm of snow above 350m.